Download full Ashampoo Photo Commander 15 license key or serial number. Ashampoo offer unlimited number of activation code for Ashampoo Photo Commander version 15. Get the registration code using an Ashampoo account to get the lifetime license key for free. The link to create an Ashampoo account found on Ashampoo Burning Studio free offer. 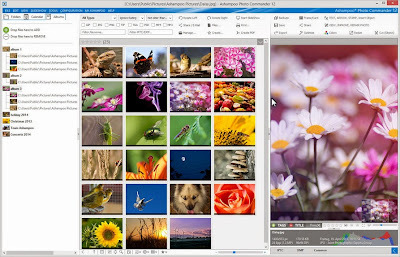 Ashampoo Photo Commander is a software that designed to manage digital image with ease. It also features with editing tool. Ashampoo Photo Commander 15 features with useful tools to correct problems on a photo such as red eye, contrast, and brightness, etc. The giveaway version also features with slideshow creator. The version on this offer is not the latest version because new version Ashampoo Photo Commander 16 has released. The Ashampoo Photo Commander 15 license number on this giveaway is genuine code. Get the software with free activation code for free. As mentioned above, the version given is not the latest. Download Installer Ashampoo Photo Commander 15: Click here to download! Registration link: Get the code! If you are interested to get the software for free, download the installer. Then follow the following steps to get the software for free. Download the installer from the link above then install the software on your PC. On the installation process, it will prompt you to enter an activation code. Click on “Request FREE full version key” button or visit registration link above to get one free copy. After received the Ashampoo Photo Commander 15 license key, use the activation code to activate the software. Then enjoy the full lifetime photo manager software. The version on this offer is not the latest. The license key for version 16 are available with 80% discount. You can use the software with discount. Ashampoo offer special coupon code to buy the software with 70% discount. Ashampoo Photo Commander 16 comes with many new and improved features. Get the deals 70% discount using Ashampoo Photo Commander coupon if you are interested.